Well its been in the making for a while and I have finally found some time to give some extra glamour and functionality to Fussy Foodie. Our lovely new icons make it easier to access key categories and the special new filter means you can really narrow down your articles search. For example if you are looking for “dairy free breakfast options” just use the filter, and you will find articles that are for breakfast and dairy free. On top of this we have cleaned up the layout and added some key new categories so that you can now search for meal types e.g breakfast, lunch, dessert, dinner, snack – making it much easier to get inspiration when you need it most. 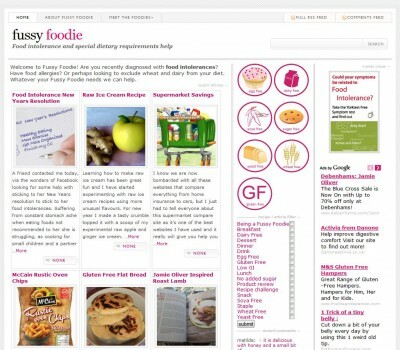 Happy 2010 to all our Fussy Foodie readers and if you have any suggestions of articles, content or functionailty you would like to see on the website get in touch.